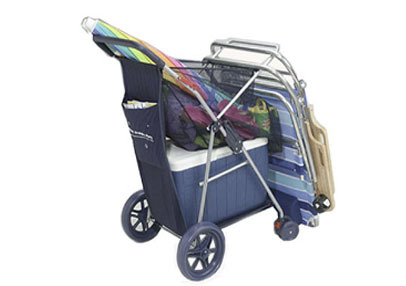 The All New Deluxe Wonder Wheeler WWC6 fits in everything you ever wanted to carry to the beach. It is easy to maneuver because of its front swivel wheels that can be pushed or pulled smoothly. The cart can carry up to 100 lbs.